probably got double folds, widened the length, and got mongol folds removed. As for the V-line, it could be that the baby fat is gone but then again, her face looks too thin. 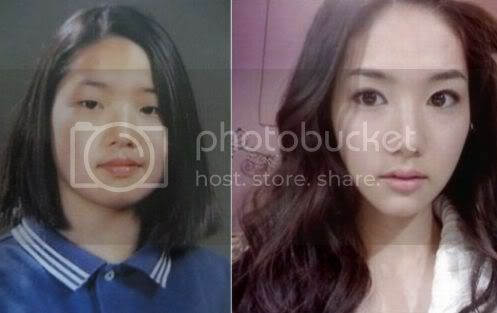 but, what ever she is,, park min young its so adorable...she have talented..!!! Do you agree with me?? Whoever her surgeon is- he is a magician! as alikee she is a different person... just make me say wow... fantastic! really poor Korean girls are..